Here are a number of sample photos from the 41 megapixel Nokia PureView 808 with Carl Zeiss f/2.4 lens. The Nokia PureView 808 features a whopping 41 megapixel 1/1.2inch sensor - a Carl Zeiss Tessar f/2.4 wide angle lens takes care of the optics and Nokia say that their image processing software is among the best in the World. The large sensor allows improved low light performance and lower noise when images are "oversampled" to a reduced size, and at 5 megapixels Nokia promises lossless 3x zoom for stills, and lossless 4x zoom for full HD video. Nokia's oversampling technology combines 7 pixels, binning noise and poor colour information in the processing to create what it is calling "Super Pixels" - have a look at our sample photos and let us know what you think! 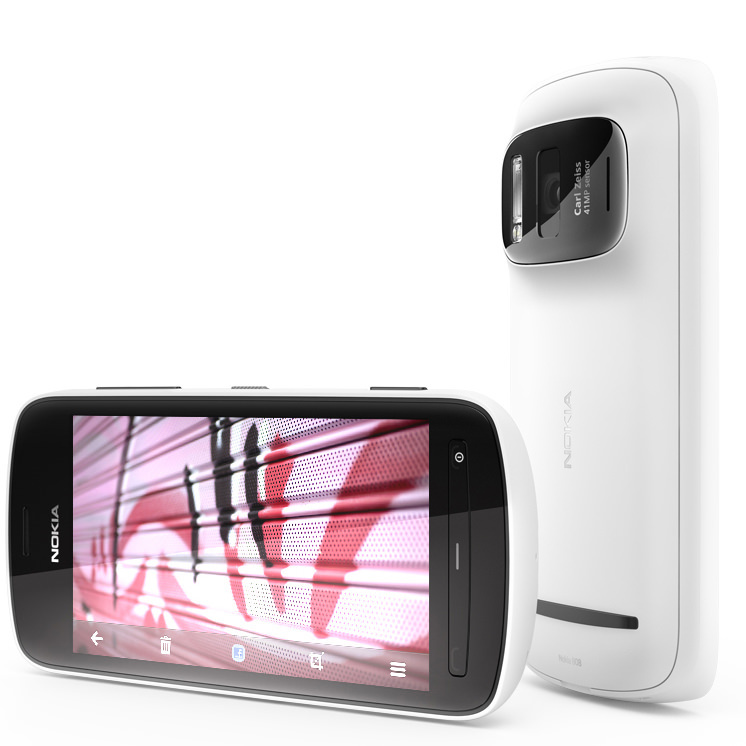 We will be posting more on this interesting new camera-phone shortly. In 4:3 aspect ratio the lens is equivalent to a 28mm lens, while in 16:9 aspect ratio the lens is equivalent to a 26mm lens in 35mm terms. Dear Dad, I am writing to you in good health I hope you are well and happy too. I dropped my camera so I can't call you until is fixed. Love, your son. Errrrrrrrrrrr Great images but my mobile phone offers a pop-up shower cubicle with running water at variable temperature. Seriously now, I do prefer a purpose built camera for taking pictures. I know it is much lighter, pocketable and more versatile as a solution but I am not sure if it will lure photographers into buying it. Remember that the first digital camera, from logitech was designed for estate agents. Of course those who find it useful will make good use of it. Don't just think the affluent. Dear Dad, I am writing to you in good health I hope you are well and happy too. I dropped my camera so I can't call you until is fixed. but my mobile phone offers a pop-up shower cubicle with running water at variable temperature. I do prefer a purpose built camera for taking pictures. I know it is much lighter, pocketable and more versatile as a solution but I am not sure if it will lure photographers into buying it. Remember that the first digital camera, from logitech was designed for estate agents. Of course those who find it useful will make good use of it. Don't just think the affluent. Well, to be honest... I am a bit angry now. This phone has a camera that performs better at high ISO than my Olympus XZ-1!! This Pure View process is really good in terms of reducing the noise from the pictures. The benchmark at 5Mp and ISO 800 is superlative in terms of noise and detail when compared to any compact of the moment, IMO, and even the ISO 1600 shot is accepetable. Well done, Nokia! Now you just need to launch the damn thing! What are you waiting for? Well, to be honest... I am a bit angry now. This phone has a camera that performs better at high ISO than my Olympus XZ-1!! This Pure View process is really good in terms of reducing the noise from the pictures. The benchmark at 5Mp and ISO 800 is superlative in terms of noise and detail when compared to any compact of the moment, IMO, and even the ISO 1600 shot is accepetable. Now you just need to launch the damn thing! What are you waiting for? If that phone is coming to the USA, I'll be very interested. I have a bunch of high end stuff, but this is pretty amazing performance to fit in the general point n shoot replacement category. Cant carry the heavy artillery everywhere... Very impressive.